Hello, my name is Mario Rigby and last January, I completed a 12,000 km (7,500 miles) walk across the continent of Africa entirely by foot and kayak. 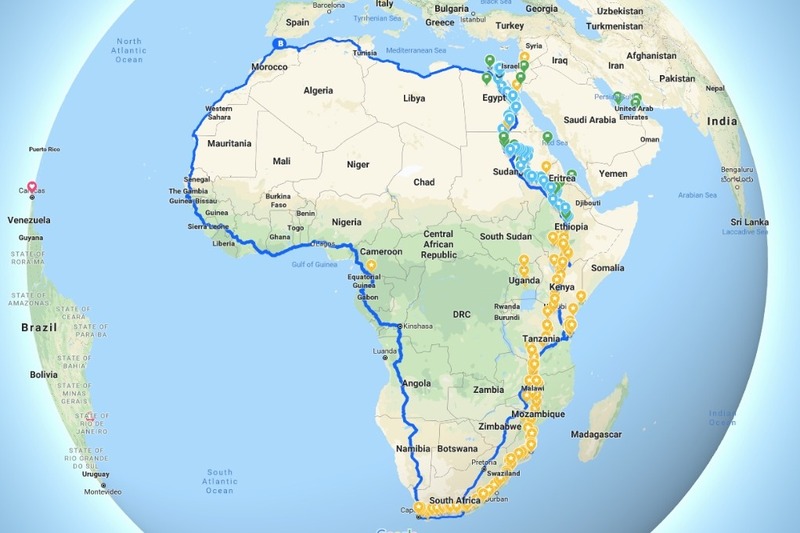 Crossing Africa was a rigorous and breathtaking two-year journey. I walked from village-to-village, tribe-to-tribe, and city-to-city, intimately experiencing the everyday lives of Africans along the eastern part of the continent. With the generous support from my family, friends, and new friends on social media, and the overwhelming hospitality of Africans I met along my journey, I was able to share my stories with the world. Together, we helped break stereotypes. We inspired each other to chase our dreams, be brave, and experience the world. I found life and I found home. During Crossing Africa , I came up with the idea for my next expedition, Project EVA (“EVA” is short for Electric Vehicle Africa), set to launch in early 2019. 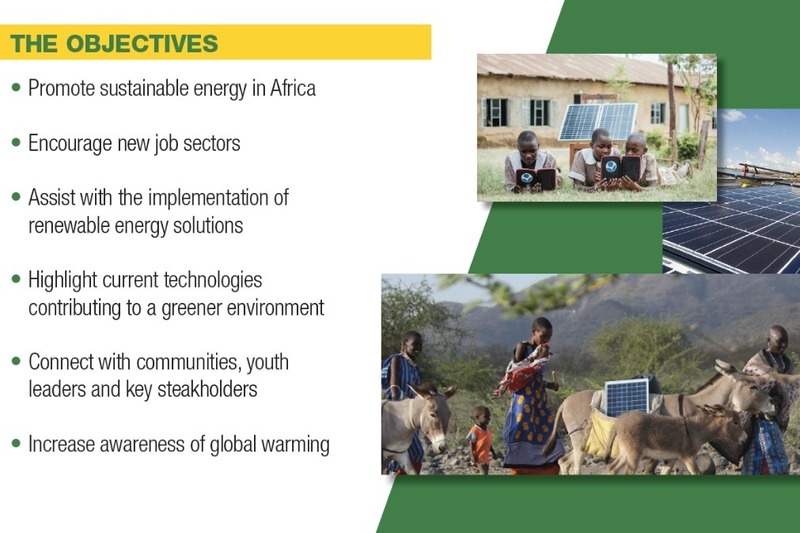 In Africa, I witnessed first-hand the growing need for transportation and access to energy. Project EVA will shine a spotlight on the value of alternative technologies, and how they can help fulfill our transportation and energy needs. Yes, they exist and work! EVA SPOTLIGHT. Project EVA is more than an adventure of a lifetime. 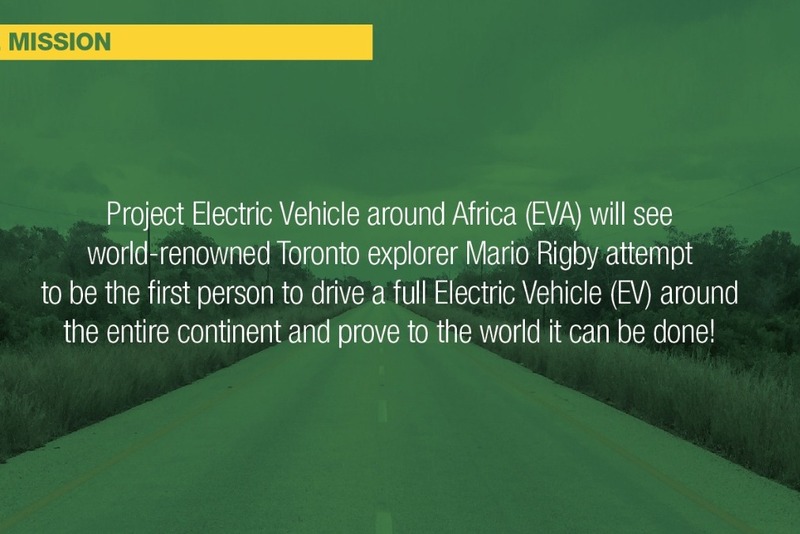 I’m so excited to begin Project EVA and be the first person ever to drive an EV around the African continent. 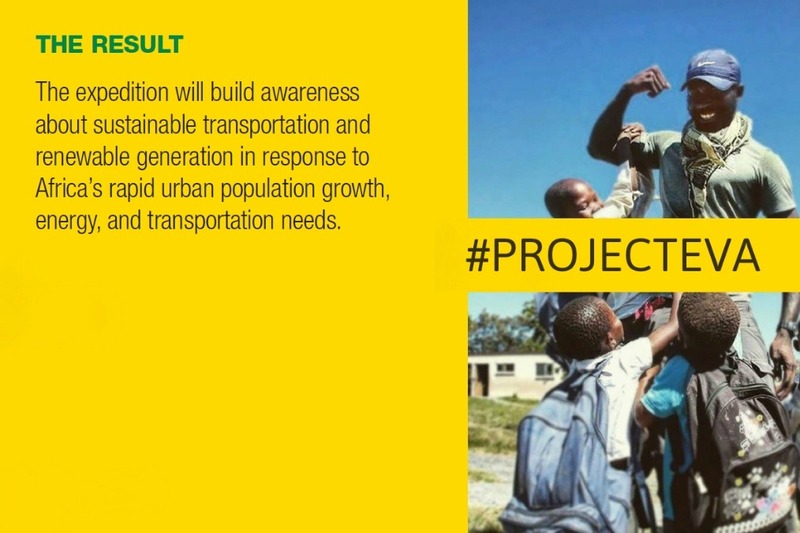 My team and I truly believe this project can build enough momentum to change the status quo, not only in Africa, but globally as well. 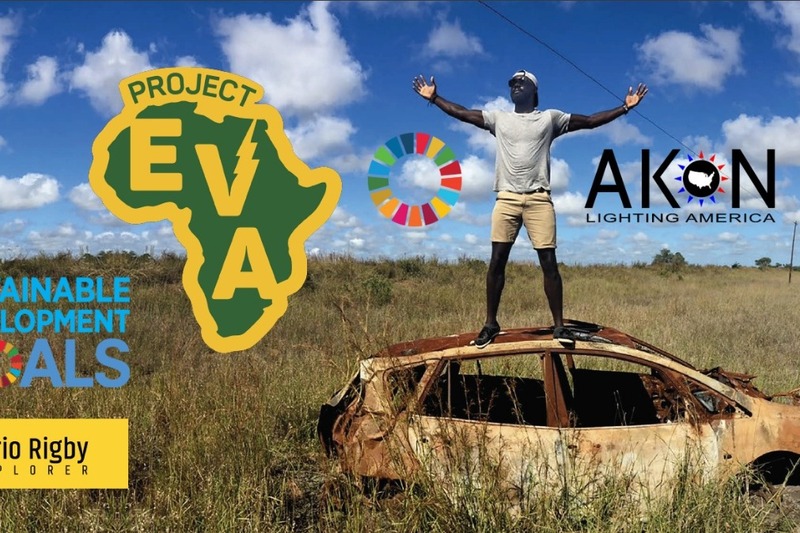 With your support, let’s inspire young Africans and the world to think big and long term about the limitless possibilities of sustainable innovation. 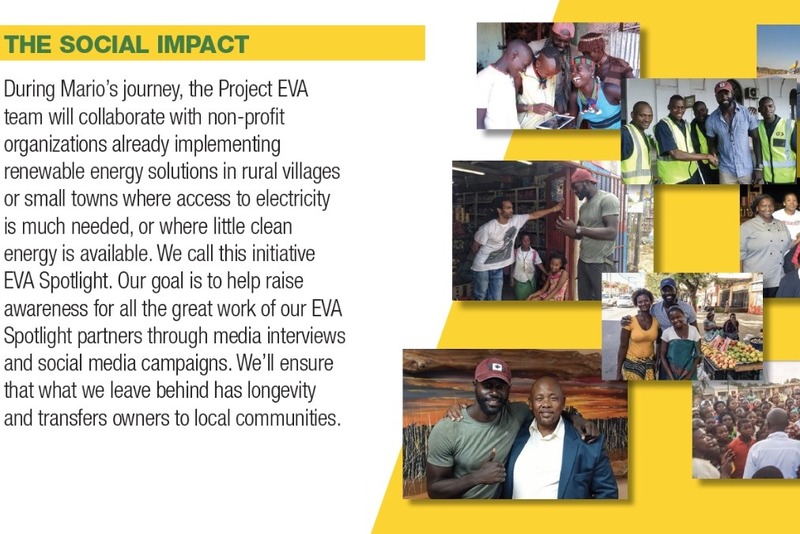 For more information and updates about Project EVA , visit my website MarioRigby.com and follow along on Facebook , Instagram , Twitter , and YouTube . It's that time of our preparations to choose the vehicle of choice for #ProjectEVA. Plug'n Drive is the perfect place to test out the electric vehicles.